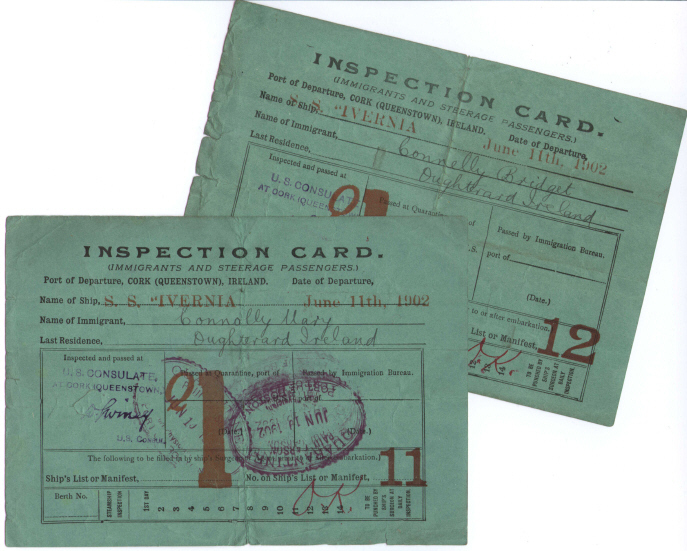 Green immigration inspection cards for my great grandmother and her sister: Mary and Bridget Connolly/Conneely. The sisters left Camus Eighter for Minnesota, USA on the S.S. Ivernia on June 11th, 1902. The cards were stamped after passing inspection at Cork (Queenstown), and again with a quarantine stamp upon arrival in the Port of Boston. Bridget later returned to their mother in Oughterard.